‘SlowLoris’ flaw could see a mouse of a machine take down an elephant of a server. An SMBv1 bug described late last week at DEF CON won’t be patched, because Redmond says it only needs a suitable block on connections coming from the Internet. The 20-year-old bug was discovered by two RiskSense researchers combing code for vulnerabilities exposed by the NSA’s EternalBlue exploit. 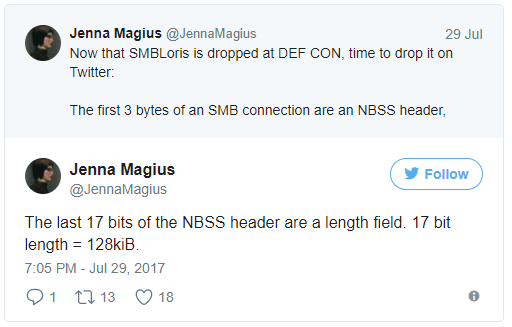 After it landed, Twitter user @JennaMagius detailed what happens in a longish Twitter-thread, saying that the bug offers an easy vector to hose big web servers with small computers (all the way down to a Raspberry Pi). However, it only works if the target machine has SMBv1 exposed to the Internet, and for that reason, Microsoft doesn’t see it as demanding an immediate patch. SMBLoris is a memory handling bug, @JennaMagius explained on Twitter, associated with two non-paged allocations that use physical memory and can’t be swapped out – so it’s trivial to fill a target Web server’s memory. NBSS is the NetBIOS Session Service protocol, and a connection to it allocates 128kB of memory that’s only freed when the connection is closed (after 30 seconds if the attacker opens it but then does nothing). At one connection per TCP port (there are 65,535, @JennaMagius explains), the attacker can fill up more than 8 GB. If they launch the attack on IPv4 and IPv6, that rises to 16 GB, and if an attack comes from just two IPs, they can fill 32 GB, and so on. 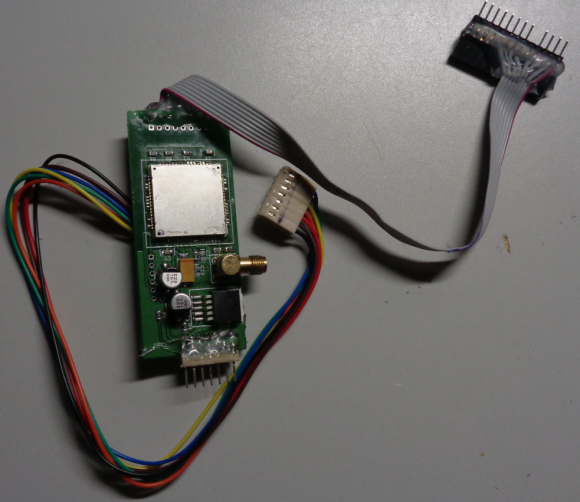 Eventually, the target can’t allocate memory for NBSS and needs a manual reboot. RiskSense researchers Sean Dillon and Zach Harding chatted to Kaspersky’s Threatpost about the bug before their DEF CON talk. In response to Microsoft saying it didn’t intend patching, Dillon said “The reason they say it’s a moderate issue is because it does require opening many connections to the server, but you could do it all from a single machine, and a Raspberry Pi could take down the beefiest server”. Watt’s all this about cyberspy threat leaks… Analysts weigh in. The UK’s government lead cyber defense agency recently warned that hackers are targeting the country’s energy sector to some effect. Just over a week ago, a memo was leaked from the NCSC (National Cyber Security Centre) warning that it had spotted connections “from multiple UK IP addresses to infrastructure associated with advanced state-sponsored hostile threat actors, who are known to target the energy and manufacturing sectors,” Motherboard reported. That warning implied that state-sponsored hackers may have already secured a foothold in the UK’s energy sector network. Whether or not this compromised access is enough to do any harm is unclear. Added together, the reports suggest a concerted effort to gather steal credentials, map networks and probe for weaknesses in Western energy sector firms in preparation for a possible future attack. While nothing damaging has happened to date, the whole threat of attacks on the energy sector has ratcheted up since December 2015’s game changing BlackEnergy malware-based attacks in the Ukraine, which resulted in power outages for hours in districts around Kiev. The recent “reconnaissance” campaign on Western energy sector targets likely takes the form of directed phishing attacks rather than internet-wide scanning and worm activity, according to experts at Rapid7, the firm behind the popular Metasploit pen-testing tool. Hackers phish people targeted as working in energy sector in assault probably aimed at getting shells on victims’ computers. Shelled accounts then connect back “to infrastructure associated with advanced state-sponsored hostile threat actors”. “None of these steps are particularly visible to Rapid7 Sonar, nor Heisenberg. Heisenberg is good at catching undirected attacks (internet-wide scanning and worm activity), not so much directed attacks like this,” explained Tod Beardsley at Rapid7. “We often see engineers ‘plugging’ in their own devices to perform diagnostic checks. Should that person’s device have been compromised, this action could unleash malware directly into the heart of each component being checked, which then crawls and burrows deeper into the infrastructure,” he warned. “Risk management is an ongoing process. 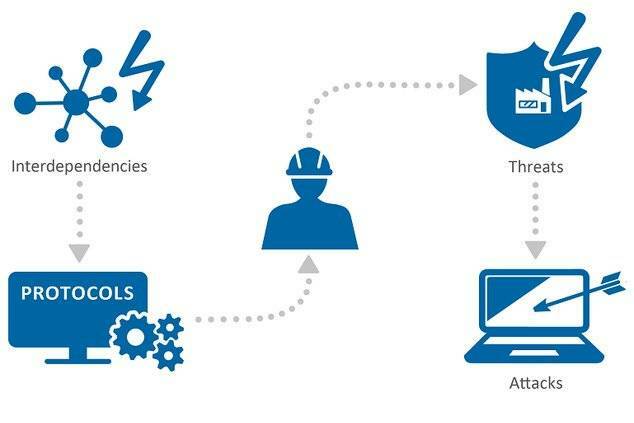 Up to date patching and the use of artificial intelligence and machine learning to immediately identify suspicious network communications and incidents helps to harden the security that guards industrial control systems,” he added. A report on the Industrial Control Systems (ICS) threat landscape last year by Kaspersky Lab revealed that large organizations likely have ICS components connected to the internet that could allow cybercriminals to attack critical infrastructure systems. US organizations were especially exposed. The investigation found that 17,042 ICS components on 13,698 different hosts exposed to the internet likely belong to large organizations. These include energy, transportation, aerospace, oil and gas, chemicals, automotive and manufacturing, food and service, governmental, financial and medical institutions. The figures are the latest available from Kaspersky Lab. Other more recent studies present a similar picture albeit it in less detail. “The world isn’t ready for cyber threats against critical infrastructure, but criminals are clearly ready and able to launch attacks on these facilities – as the widely-speculated compromise of the UK’s energy sector shows,” said David Emm, principal security researcher at Kaspersky Lab. “Security must be tailored to the specific needs of each organization and be seen as an ongoing process. This is true also of the human dimension – tricking people into taking action that launches the initial exploit is as common in attacks on such facilities as it is in any other context.” he added. “Unfortunately, a typical SCADA environment today is very easy to branch out across and/or affect any specific piece of equipment remotely – whether due to lack of patching of known PLC vulnerabilities or the wealth of 0-day vulnerabilities that we don’t yet know about but are obviously there. So, once an attacker has a foothold – spreading and “borrowing” is easy,” Shalyt told El Reg. “The hardest part is getting the initial ‘foot in the door’ – as the SCADA network is usually isolated from the outside networks (in theory…),” he added. One of the easiest ways is still the fairly simple phishing attack, but state-sponsored hackers have a much more compressive playbook at their disposal that feature “willing or unwilling” insiders and equipment counterfeiting and/or interference. What might the capable hackers seemingly probing Western electricity distribution systems be seeking to do? Having “digital sleeper agents” – very well hidden malware that is completely passive at the moment but can shut down operations with the push of a (remote) button – is one possible objective. The goal on potential activation could be a show of strength – creating a psychological intimidation effect – rather than a tool to cause real economic damage. But once achieved, compromised access also offers a capability that might be deployed in times of war or conflict, as best evidenced by the attacks in Ukraine, Saudi Arabia and Qatar over recent years. 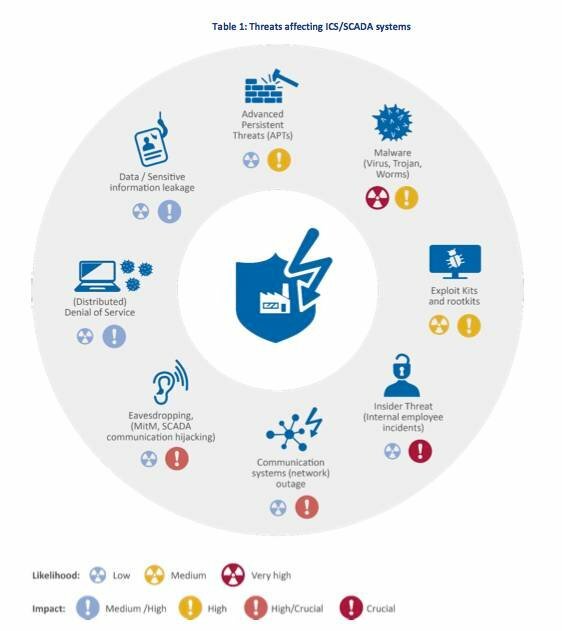 The latest annual study by EU security agency ENISA provides recommendations on how to protect critical infrastructure systems such as industrial control systems against cyber threats. ENISA’s paper on communication network dependencies for ICS/SCADA systems can be downloaded here. 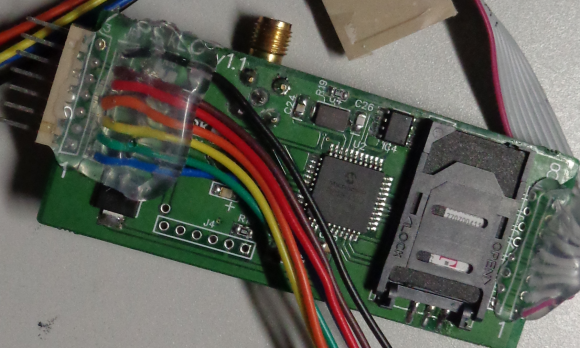 But this is the first instance known in which such SMS skimmers have been found inside gas pumps, and that matches the experience of several states hardest hit by pump skimming activity. Adistant malware, designed to infect Apple’s macOS, is leaving a bewildered look on the face of the security researchers. The first variant of the malware called FruitFly, aka the first Mac malware of 2017, was discovered earlier this year by the security firm Malwarebytes and analyzed by Thomas Reed. The document was designed to provide guidance on ensuring that all systems that process, store, or transmit CUI information are secured and hardened. Compliance to the 800-171 standard is enforced by a set of technical policies. NIST SP800-171 outlines those policies. A deadline to comply or to report delays in compliance has been set for December 31, 2017. WHERE DID THIS REQUIREMENT ORIGINATE? WHO IS RESPONSIBLE FOR THE PROGRAM? Executive Order 13556 (11/10/2010) designated the National Archives and Records Administration (NARA) as the Executive Agent to implement the CUI program, for which the Information Security Oversight Office (ISOO) of the National Archives and Records Administration is responsible. In April of 2013, ISSO issued a memorandum to government agency leads on the management of the CUI program. In September 2016, ISOO released notice 2016-01 outlining the implementation guidance for CUI, and a later notice 2017-01 was issued in June of 2017 with recommendations for implementation of the CUI program. Below are excerpts of that notice (2017-01). Anyone (individual or business/contractor) who processes, stores, or transmits information (that falls into one of many CUI categories) for or with federal or state agencies is impacted. This includes all governmental contractual relationships. A list of categories of CUI information has been made available by NARA here. There are 14 categories of security requirements that must be met. Each category has a unique set of policy tests in which affected programs must meet. Whilst you wait, you can learn more about how Tripwire solutions can help you meet the requirements NIST 800-171 here. Or you can view the current list of 800 policy/platform combinations that are available to help you continuously monitor, assess and harden your systems here. Apple made a number of security updates to its iOS mobile operating system, including a fix for a Wi-Fi chip vulnerability that could let hackers gain wireless access to iPhones and iPads. “The Broadcom BCM43xx family of Wi-Fi chips is found in an extraordinarily wide range of mobile devices — from various iPhone models, to HTC, LG, Nexus and practically the full range of Samsung flagship devices,” he noted. In its July 5 Android Security Bulletin, Google described the severity of the Broadcom vulnerability as “critical.” The U.S. Computer Security Resource Center’s National Vulnerability Database, which published details about the vulnerability early last month, noted that taking advantage of the security flaw was not complex. 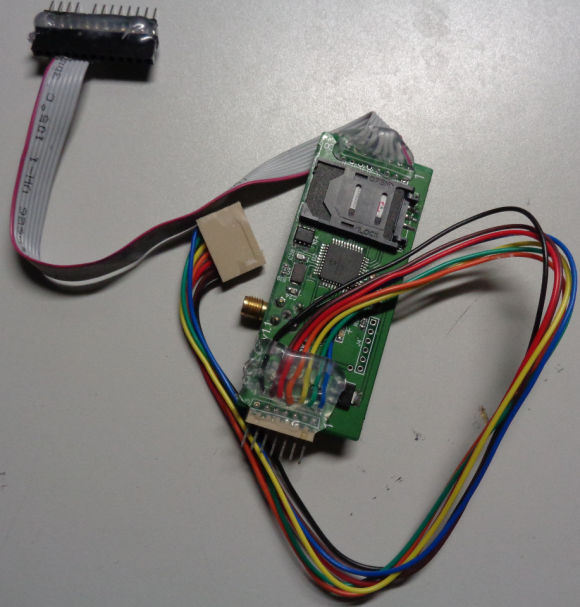 Wi-Fi SoCs are designed to handle a broad range of processing tasks related to wireless networking, Google security researcher Gal Beniamini wrote in an April blog post for Project Zero, Google’s research program aimed at finding zero-day exploits. While such SoCs help to reduce power consumption and free up mobile device operating systems to focus on other tasks, they come with a cost, he added. “Introducing these new pieces of hardware, running proprietary and complex code bases, may weaken the overall security of the devices and introduce vulnerabilities which could compromise the entire system,” Beniamini said, adding that Broadcom’s Wi-Fi SoCs are the most common Wi-Fi chipsets used on mobile devices. The frequency and impact of cybercrime has been steadily escalating for several years now, but 2017 has been one of the worst– at least in terms of media headlines. Worse still, we’re only half way through the year. So what has happened, and what can you learn? The National Security Agency – the US body responsible for “intelligence” – maintains an impressive array of tools that allow their analysts to hack computers belonging to foreign spies, terrorists or suspected criminals. Many of these tools use vulnerabilities that had were previously unknown even to the most successful cybercriminals. However, these tools were stolen and leaked online earlier this year. Details of the exploits were also published on Wikileaks, throwing a spotlight onto US intelligence activity. Once the NSA tools were leaked, hackers immediately began to use them against innocent people. The NSA tools work by exploiting gaps and bugs in operating systems and software, like Windows 8 or Apple’s MacOS. You should regularly check for updates, and install patches as quickly as possible – this closes the loopholes used by the hackers, rendering their malware ineffective. Ransomware has been gaining popularity in recent years as a way to extract extort money from people by infecting their computer and encrypting their files. The only way to recover data is to pay a ransom to the hackers. In May, WannaCry went global, infecting thousands of computers across the world. In the UK, several NHS trusts were affected, taking clinical systems offline, and forcing the cancellation of planned operations as engineers tried to reverse the damage. Although the source of the WannaCry infection remains in dispute, security analysts agree that the malware uses one of the vulnerabilities exposed in the NSA theft. Some believe that the outbreak was planned by the North Korean government as a way to raise revenue – however the malware was more effective than expected, leading to the global outbreak. Just one month after WannaCry wreaked havoc, another malware variant burst onto the scene. Using the same NSA exploits, Petya (also known as NotPeya, Nyetya and Goldeneye) managed to compromise several major companies, including pharmaceutical giant Merck, shipping company Maersk and the Russian oil firm Rosnoft. Unlike WannaCry which was global in its reach, Petya appears to have been targeted at businesses in Ukraine. The central bank, several power companies and the public transport network were particularly badly affected. The success of the NSA hacking tools relies on security vulnerabilities that are not known by a software vendor, and have not yet been repaired, called zero day exploits. Every computer is in danger of being exploited until these loopholes are closed. Anti-malware cannot detect zero day exploits, but it can recognise malware by the way it acts – and block it automatically before damage is done to your data. In fact, you can (and should) install an anti-malware tool. Download one now, and you’re well on the way to protecting your data through the rest of 2017. Voluminous amounts of information have already been disseminated regarding the “Petya” (or is it “NotPetya”?) ransomware that hit the Ukraine hard along with organizations such as “the American pharmaceutical giant Merck, the Danish shipping company AP Moller-Maersk, the British advertising firm WPP, Saint-Gobain of France, and the Russian steel, mining and oil firms Evraz and Rosneft”. Not surprisingly, nearly every Petya write-up references the WannaCry outbreak that wreaked havoc about a month-and-a-half ago. This is reasonable given the recentness of WannaCry and that both malwares are ransomware known to leverage the EternalBlue exploit against patched vulnerability MS17-010. Amidst this deluge of information (and misinformation), we wanted to make sure that the association of Petya with WannaCry did not obscure some important differences. In particular, the EternalBlue-based propagation mechanism, mitigated by patching MS17-010, is not the only method employed by Petya to spread. Another propagation method employed by Petya is not thwarted by simply patching. According to Kaspersky, once Petya has compromised a machine, it will begin to hijack local credentials from the Windows Local Security Authority (lsass.exe) then leverage those credentials via PsExec or WMI in an attempt to remotely compromise other systems on the local network. In many enterprises, this activity will not be blocked and is likely to fly under the radar as typical remote administration activity. Afterall, PsExec is a legitimate Windows SysInternals command line tool and WMI stands for Windows Management Instrumentation. If a widely used administrative credential is compromised, it could very quickly be game over for many systems regardless of whether the patch for MS17-010 has been applied or not. Another important difference between Petya and WannaCry is that there is no “KillSwitch” for Petya. Indeed, contrary to many reports, ASERT has found no evidence that Petya has any form of command-and-control.